color: Colors change from dark-green to grey to aubergine. 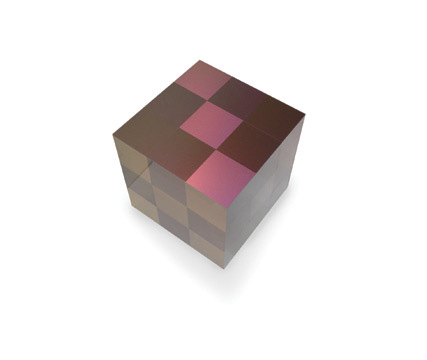 ”Ruby cube” is build up from the same color Acrylic plates. These plates however change color when viewed from different angles. Colors change from dark-green to grey to aubergine. Different patterns appear and disappear again.